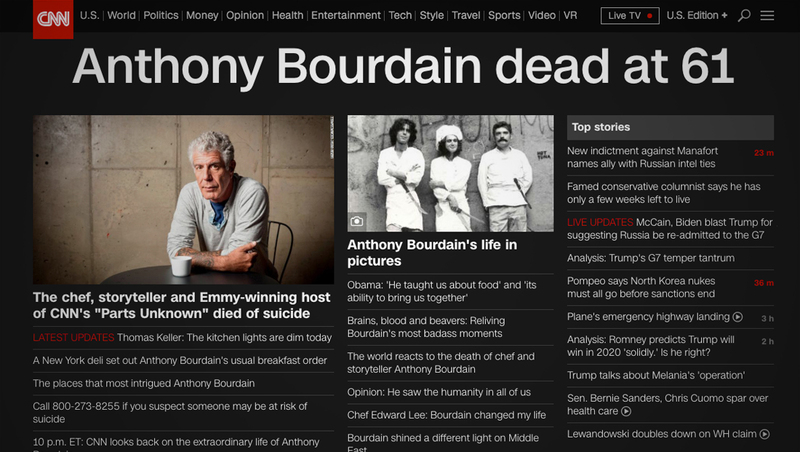 CNN shifted its homepage to a somber black background and devoted much of the above-the-scroll real estate to coverage of the death of Anthony Bourdain, who served as a correspondent for the network. Bourdain was found dead in his Paris hotel room early Friday, the victim of an apparent suicide. Although Bourdain was a popular fixture on other networks, CNN was, in many ways, his “home” network — since he hosted the popular “Parts Unknown” for the network. 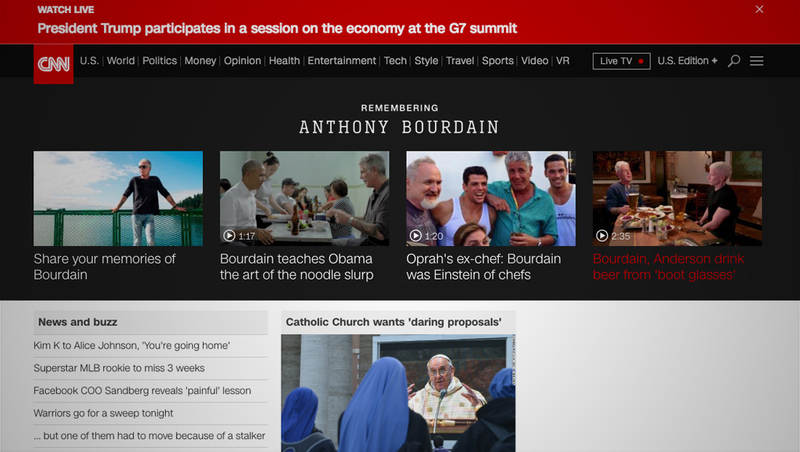 The network also added a “Remember Anthony Bourdain” strip below the three top columns, featuring video content and offering viewers to share their memories of the host.